9 to 5 is now number 74 on American Film Institute's list of "100 Funniest American Movies of All Time." When the film was shot, Fonda and Tomlin were friends who had already received numerous honors for their acting achievements. It was Parton’s first feature film role, but she was a veteran of live and television performances as herself, an award-winning musician and writer. She also wrote, performed and received dozens of awards for the movie’s title song. A two-time Best Actress Academy Award® winner (for Klute and Coming Home) and five-time nominee (for The Morning After, On Golden Pond, The China Syndrome, Julia and They Shoot Horses Don't They), Fonda was the 2014 recipient of the AFI Life Achievement Award. Fonda was first honored with a SAG Award nomination in 2014 as a member of the motion picture cast of Lee Daniels' The Butler, in which she portrayed Nancy Reagan. For three seasons, Fonda appeared as media mogul Leona Lansing in an Emmy-nominated performance in Aaron Sorkin’s The Newsroom, on HBO. More recently, she received a Golden Globe nomination for her stunning performance in Youth, written and directed by Paolo Sorrentino. Fonda is also known for revolutionizing the fitness industry with videos, books and audio recordings; her 1982 Jane Fonda’s Workout remains the top-grossing home video of all time. For more information, visit janefonda.com as well as janefonda on Facebook, @janefonda on Twitter, and janefondatv on YouTube. Dolly Parton’s multitude of accolades include a Kennedy Center Honor, eight Country Music Association Awards (including Female Vocalist of the Year and Entertainer of the Year), seven Grammy Awards, two Oscar nominations, three Golden Globe nominations, and being inducted into the Country Music Hall of Fame. Several of her awards honor the title song she wrote and recorded for the 9 to 5 soundtrack. Parton followed that hit film with starring roles in The Best Little Whorehouse in Texas (1982); Rhinestone (1984); Steel Magnolias (1989); and Straight Talk (1992). Most recently she starred in and executive produced Dolly Parton's Christmas of Many Colors: Circle of Love (2016) for NBC. Parton also released Pure & Simple, her seventh album to debut at No. 1, and The Complete Trio Collection, capping the popular series she shares with Linda Ronstadt and Emmylou Harris. Parton has the distinction of writing the only song to have topped the charts three times: "I Will Always Love You." She has taken more than 20 songs to No. 1, has written two successful books plus a cookbook, and has also launched and runs the non-profit Dolly Parton’s Imagination Library, which provides children in participating communities in 44 states with a book each month from birth until age five. For more information, visit dollyparton.com as well as @dollyparton on Instagram and her non-profit dollysimaginationlibrary on Facebook. 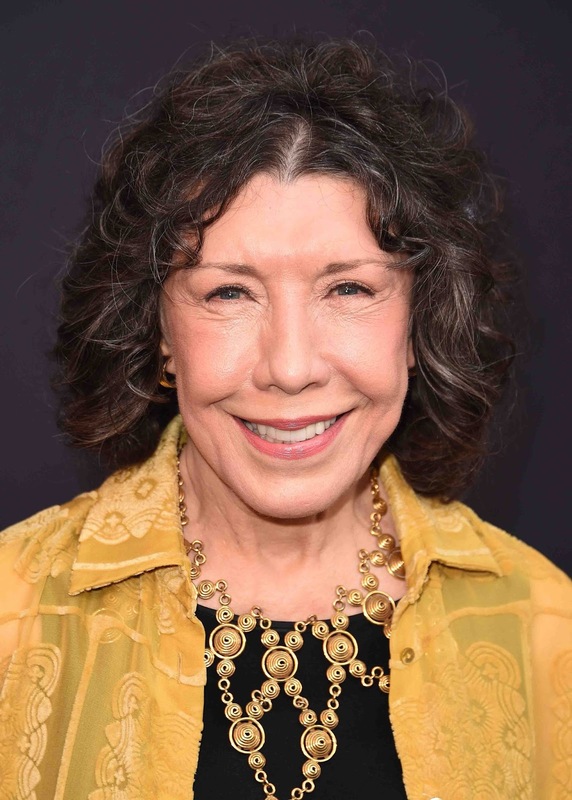 Lily Tomlin – whose talents put her at the pinnacle of comedy, acting, writing and producing – has been named the 53rd recipient of SAG-AFTRA's highest tribute: the Life Achievement Award for career achievement and humanitarian accomplishment. The SAG Life Achievement Award is the latest in Tomlin's extraordinary collection of preeminent industry and public honors, which includes a 2014 Kennedy Center Award, the 2003 Mark Twain Prize for American Humor, two Peabody Awards, multiple Emmys® (including this year's Lead Comedy Actress nomination), numerous American Comedy Awards, two Tony® Awards, a Grammy®, a Writers Guild of America Award, this year’s SAG Awards nomination, and both the Crystal Award and the Lucy Award from Women in Film. That Tomlin embodies the SAG Life Achievement Award’s "finest ideals of the acting profession" is amply celebrated by these and her numerous other professional and philanthropic commendations. Tomlin can currently be seen starring opposite fellow executive producer Jane Fonda in Grace and Frankie, in which two mismatched women become friends as they reinvent themselves after their husbands decide to marry each other.